During the height of fall foliage visitors will find color outside and inside as the Vermont crafts community celebrates American Craft Week. Choose from among more than 30 special events, festivals and exhibits, including curated craft shows, open studio events featuring more than 100 of Vermont’s most talented craft artisans and artists, and demonstrations, workshops and classes. Experience Vermont’s creative culture. October 1-2 and 8-9- Brought to you by the Vermont Crafts Council, 108 craftspeople and artists look forward to welcoming you to their studios for conversation, browsing, and sales. Studios are located throughout the state, in picturesque villages, along back roads and in vibrant town centers. Where to begin? The Crafts Council has a map available at Vermont welcome centers and galleries. Some Open Studio travelers begin by choosing a section of the state they have always wanted to visit; others seek out a specific medium like pottery or furniture or watercolors. Some just follow the yellow signs along the roads that highlight designated open studio locations. This year, visitors will be able to choose the first or the second weekend in October to see our craftspeople's studios. Or they can choose to visit both weekends. New Map Format - The Crafts Council has adopted a folding map that will have much briefer listings: Business, maker name, address of studio, phone number, website and a few words of description about the craftsperson's work. Google Map Addition - A google map with all sites located on it will help visitors find their way to the studios. 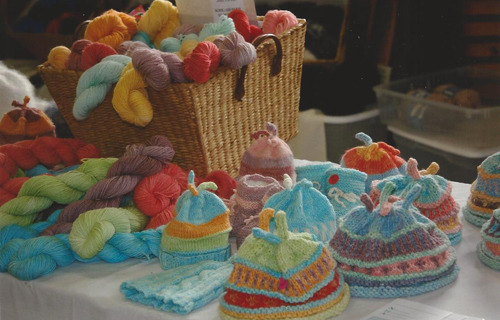 October 4 & 5 - The Vermont North By Hand Artisans Co-Op is an all-volunteer organization of Vermont & New Hampshire artists and craftspeople from the towns of Bradford, Corinth, Fairlee, Newbury, Orford, Piermont, South Ryegate, Topsham and Vershire. Founded in 2005, VNBH exists to promote the arts in the greater area and to enrich the community through various projects and special events. Our members produce a wide spectrum of both functional and decorative art items, which can be seen at the annual VNBH Open Studio Tour, held this year on October 4th and 5th. 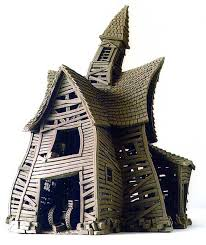 October 5 ~ Are you a craftsperson looking for new inspiration? Try curator Jamie Franklin's discussion "Where Folk Art and Modern Art Meet". At 2 p.m. in the Ada Paresky Education Center. The gallery offers a variety of activities throughout the year with a special Gallery Walk feature on the first Friday of American Craft Week. It also is an information center for the Vermont Fall Open Studio Weekend that takes place during ACW and offers access to more than 200 craft studios. Woodcut artist and printer Sabra Field will be on hand and presenting signed copies of her book In Sight to the first 40 individuals to purchase one of her prints. 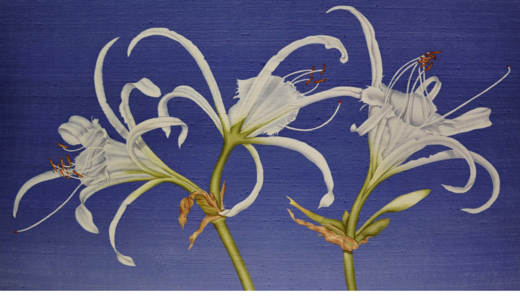 A wide range of her work will be available including hand pulled prints from early in her career. 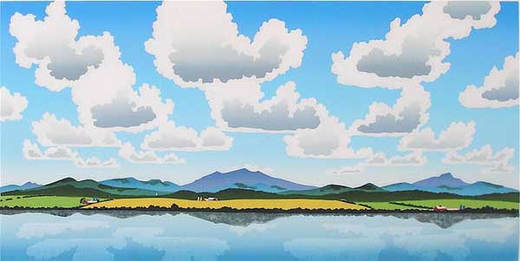 Highlighting the day will be the premier of her newest print Haying Near Camels Hump. 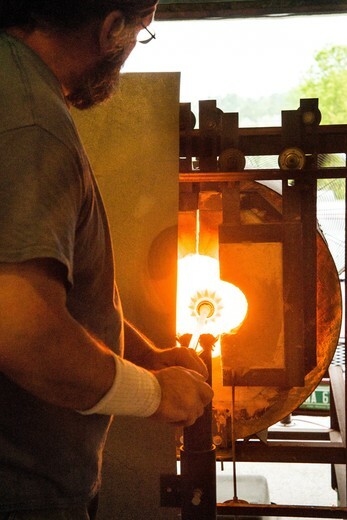 At Frog Hollow State Craft Center, the first state craft center in the U.S.
Over 30 visual and literary artists muse literally and figuratively upon the concept of reflections. Considering the actual return of light as inspiration or using internal thoughts as visual motivation are equal focuses of the show. 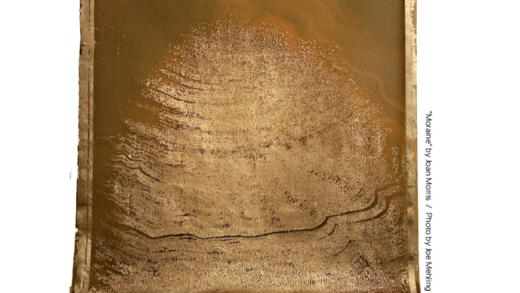 Through the use of reflective materials and highly polished surfaces or through manifest content such as mirrored imagery or conjured repetition, we hope to enlighten visitors on many levels by providing an overt look at how art reflects life as well as how images and forms of thought bounce back. Hubbardton Forge Handcrafted Lighting Sale & Blacksmithing/Forging Demonstration on Columbus Day weekend in our new Barn. 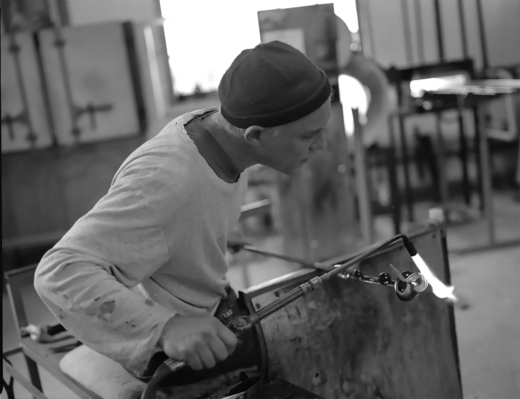 Watch as Vermont craftspeople work with red-hot steel, bending and shaping the metal into Hubbardton Forge’s distinctive lighting designs using traditional blacksmithing tools and techniques. In the Barn, buy hand-forged lighting and accessories-discontinued, returned, and one-of-a-kind Hubbardton Forge lamps, pendants, chandeliers, sconces, lampshades and more- at 50% off advertised price. Quantities are limited. Special kids’ activities and refreshments available. October 4 - The final artist-led tour of our 2014 season. 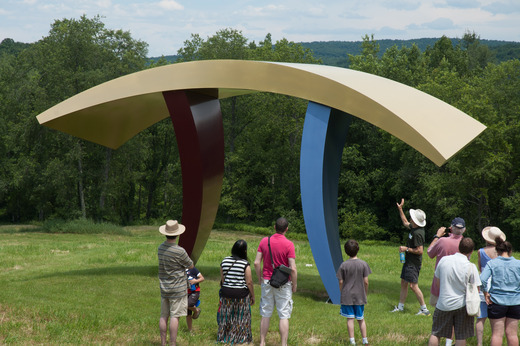 Enjoy a special one-hour tour through the park's five meadows populated with 40+ of David Stromeyer's large-scale sculptures that concludes with a very rare opportunity to see inside his state-of-the-art iron works and studio. As this is an outdoor event please dress accordingly with layers and walking shoes, and bring an umbrella for light rain. 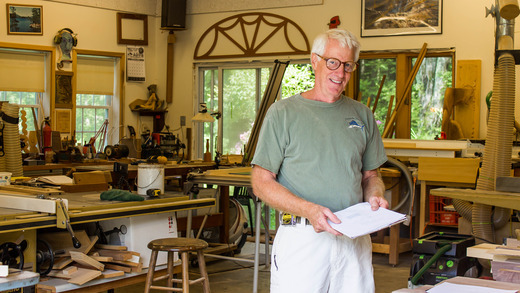 October 11-14 - Shaker Hall Table Making Class - Experience education in the tradition of the apprenticeship in the woodshops of the Vermont Woodworking School. 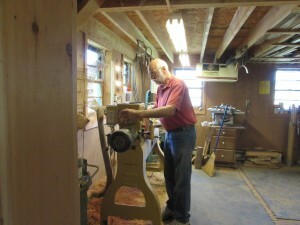 In this four-day workshop, you will build a hall table in the Shaker tradition while learning all the basics of furniture-making, from choosing wood, and milling your pieces, to mortise and tenon joinery and finishing. $389 plus $85 for maple materials kit. October 4 & 5 - Vermont Open Studio Tour - Deborah Falls welcomes visitors to her studio to see her newest paintings on silk. Local Vermont cheeses and fare witll be served each day from 10 a.m. to 6 p.m.
October 4 & 5 - Woodblock Printing Demonstration - Daryl Storrs will be printing on her antique printing press during the Open Studios event in Huntington Vermont, October 4-5. Using multiple blocks she will ink and print each block separately to create her final pieces. Additionally there will be more original block prints, jewelry and pastels for sale. For "hot glass in a cool state" take in Matt's glass blowing demonstrations, and be among the first to view Marion's new line of hand-dyed clothing - Happy Dog Hand Dyed Clothing. October 4-13 - The Northeast Kingdom Artisans Guild celebrates American Craft Week with daily events, specials, and artist demonstrations. Northeast Kingdom Artisans Guild is a Vermont artisans cooperative featuring beautiful collections of fine handmade crafts and fine art by more than 100 artisans, including fine traditional and contemporary craft in clay, fiber, jewelry, glass, metal, paper, and wood. 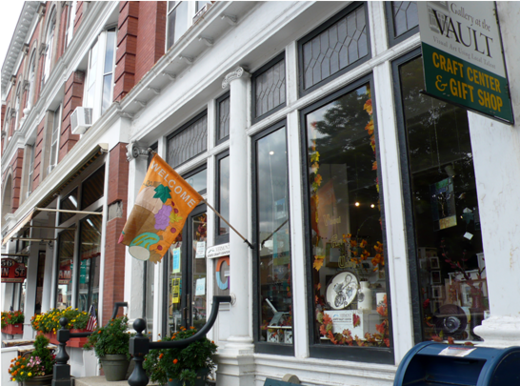 October 3-5 - The Manchester Fall Art and Craft Festival celebrates the wonders of American Craft. 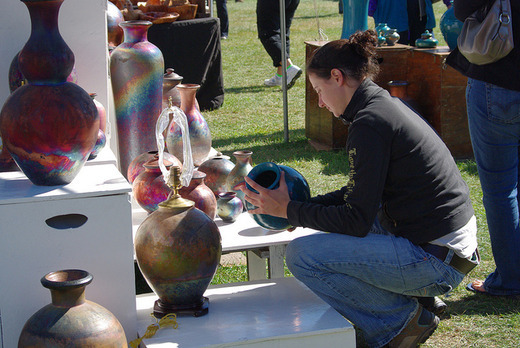 The Festival features 150 artists and artisans displaying and selling traditional and contemporary crafts and original art as well as a specialty food tent. Exhibitors are housed in large Camelot tents, tents transformed into veritable cathedrals of creativity. While craft shopping, customers are delighted with culinary choices served by local restaurants and food trucks. Vermont craft beers are served to accompany the luncheon plates. Live music will be played here too. Besides savoring Vermont food and drink, there are many craft demos and a Vermont Cheese Tent. Billed as a "once in a lifetime experience" the 2014 show will also include Vermont sculptor Dennis Sparlings' massive and intricate "Leonardo Da Vinci." 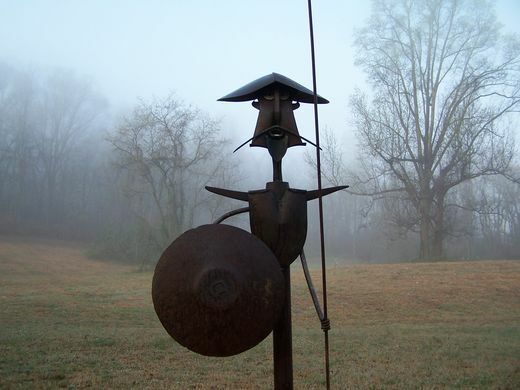 This will be accompanied by other metal sculpures: Chad Heise's "Don Quiote", Piper Strong's Renewed Spirit and Aaron Brown's "exterior", a colorful three-section landscape sculpture. October 4 & 5 - "Hot and Fresh" - Potters Diane Rosenmiller and Nicholas Seidner will be participating in the third annual Fall Open Studio Weekend with new work and wood-fired pizza. You can expect to see fine examples of both Dianeʼs colorful and whimsical elegant porcelain functional pots and Nickʼs variety of wood fired and gas fired table and domestic wares. In addition, seconds will be available for sale and the studios and kilns can be toured and viewed. 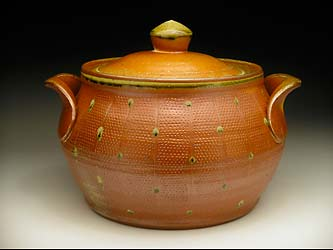 Each day will offer a a different type of experience at Rising Meadow Pottery. The wood fired pizza kiln will be fired up for everyone to enjoy on Saturday and on Sunday pots will be unloaded fresh from the wood fired pottery kiln. Join Diane and Nick for a “Hot and Fresh” themed weekend! On display at the Statehouse in Montpelier, "Handcrafted, Vermont" features work by fifteen of the state’s master furniture makers and members of the Guild. Works represent studios from Brattleboro to East Burke with introductory panels and a portrait exhibit to introduce the talented craftsmen. The show will run through October, featured as part of "Montpelier Arts Walk" on Oct 17th 4-7p with light refreshments and artists on hand. October 11 through 12 - Juried Arts, Crafts, & Specialty Products are sold in the 96 Exhibitor spaces, along with food tent, flea tent, children's activities, live music and apple pies. 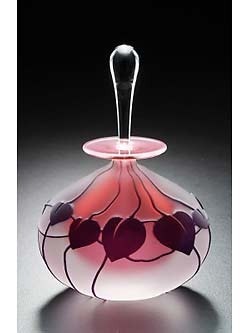 October 4 & 5 - John Chiles will demonstrate glassblowing and also help both adults and children to make their own blown glass holiday ornament. 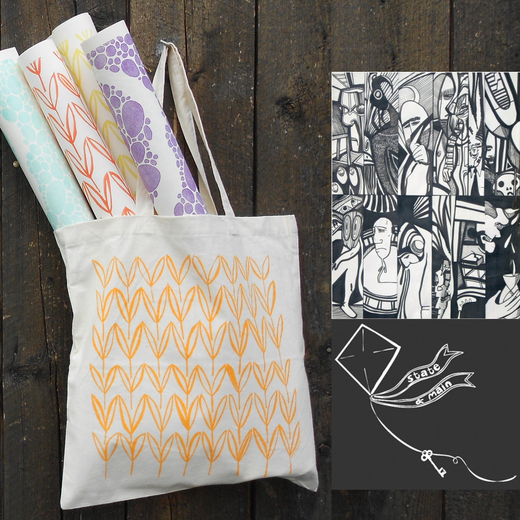 October 11 & 12 ~ Marion Waldo McChesney - The Pawlet Potter - and Ericka Schmidt - Green Hill Studio printmaking and mixed media - are joining forces to welcome visitors to Marion's studio. "Come see what we've been up to - all our new work & ideas. We love to share!" 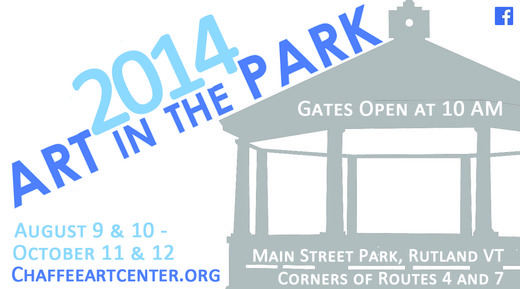 Randolph celebrates local artists, craftspeople, musicians, and the community! Special art exhibit and a block party featuring live music, including Spencer Lewis, Sayon Camara West African Drumming, Coquette, and Bow Thayer. Vendors, tastings from Bent Hill Brewery, Arts Bus, and kid's activities! October 4 - Elisabeth Hill will give a presentation about several specialty weaves, deflected double weave, cell weave and other "mystery" weaves. 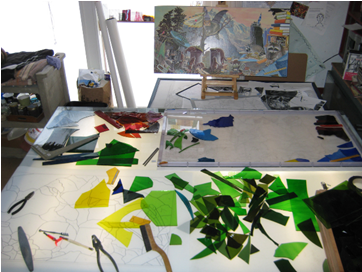 October 4 & 5 - Free Glasscutting Lessons - Visit Debora Coombs Stained Glass studio during Vermont's statewide Fall Open Studio event and learn how to cut glass for free! 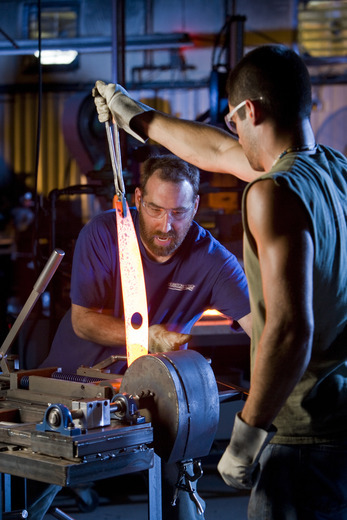 Demonstration and 30 minute glasscutting lessons start at 11am and 3pm on October 4th and 5th, 2014. Max 6 people. Tools and glass provided. Email me to reserve a spot, or just turn up. October 4 & 5 - Readsboro Glassworks Sculpture and Glassblowing Demonstrations - As part of the 2014 Vermont Foliage Open Studio Weekend, Mary Angus and Bill LeQuier will be welcoming visitors to their Readsboro studio from 10am to 5pm Saturday and Sunday with glassblowing demonstrations ongoing throughout the weekend with handblown glass by Angus and glass sculpture by LeQuier on display and for sale. October 11 & 12 - In addition to over eighty artists and artisans, there will be live music, specialty foods and spirits, children's art activities and art demonstrations. October 4 - Woodcarver and former park ranger, Philip Morgan, demonstrates his skill at carving realistic bird sculptures while Ascutney Mountain Audubon Society provides delicious bird-friendly coffee to sample. Vermont birds travel to South America in the winter and bird-friendly coffee methods are crucial to their survival. Sign up for monthly coffee orders that can be picked up at the Gallery; select a handmade coffee mug; and consider registering for Phil’s Gallery at the Vault workshop next spring. October 6 - November 22 - "String Theory" recent monoprints by Carol MacDonald. Northeast Kingdom Artisans Guild is a Vermont artisans cooperative featuring beautiful collections of fine handmade crafts and fine art by more than 100 artisans, including fine traditional and contemporary craft in clay, fiber, jewelry, glass, metal, paper, and wood. October 10 through 12 - What can we say: The Stowe Foliage Arts Festival has it all going on: 150 great talented artists, creative craftspeople, and unique specialty food makers amidst the apex of fall foliage in the quintessential Vermont town, Stowe. October 3-12 - Divided Landscapes: An American Craft Week Art Show Stowe Craft is celebrating American Craft week with "Divided Landscapes" an exhibit featuring contemporary wall art & sculpture made by artists working in wood, ceramic, fabric and metal. All sculpture is three-dimensional, but beyond that, it’s as diverse as the artists who create it. This art show features several Vermont artists who create wall hangings which include elements of landscape and unusual materials. October 11 & 12 - Get a jump on your holiday shopping at Mount Snow’s 41st Annual Harvest Arts and Crafts Fair featuring 50+ vendors including local artisans, specialty food makers and more. The event is conveniently located throughout the Mount Snow Main Base Lodge and base area. Did we mention that there is also FREE ADMISSION! Expect to see original works of art, handmade jewelry and furniture, sample homemade fudge and speak face to face with the purveyors. Then head outside and checkout Mount Snow’s 17th Annual Oktoberfest- two great events and truly a weekend not to be missed! October 11 & 12 - The Weston Craft Show is a juried exhibit of exceptional Vermont artisans, representing works in baskets, ceramics, folk art, glass, jewelry, lighting, paper, fiber, leather, mosaics, pastels, sculpture, wearable art, and wood. A carefully juried array of exceptional arts and crafts in a distinctive setting, the Weston Craft Show offers discerning collectors high quality, diversity and beautiful displays during peak foliage in charming Weston, VT. 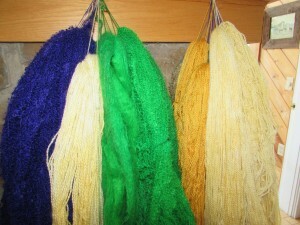 I'm hosting German felter Andrea Noeske-Porada here for 5 days of felting workshops. Three days will cover creating an origami-like, folded felt material great for scarves, crowns, cowls and shawls. A two day workshop will explore Reconstructed Felts. 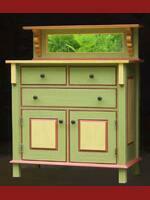 Sweet Grass Gallery & Gifts features the work of over 55 talented Vermont artists and food producers. 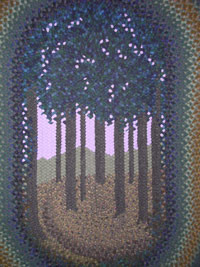 We are an affiliate gallery with Vermont Hand Crafters, the oldest and largest juried craft organization in the state. In collaboration with Vermont Hand Crafters we celebrate pure Vermont art. 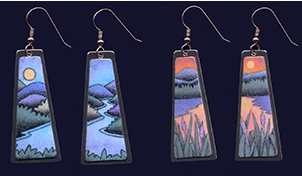 Octboer 4 ~ Vermont Open Studio Tour ~ Collective - the Art of Craft, a working artists cooperative gallery, holds a guest artists reception for Brattleboro jeweler T. Breeze Verdant, Bethel potter Andrea Trzaskos and Reading quilter Susan Balch. Breeze’s wooden jewelry features a variety of wood inlays. Andrea’s ceramic tiles are hand built and are all one of a kind. Working free hand, she carves the clay surface to create the designs and textures that incorporate themes of natural beauty. 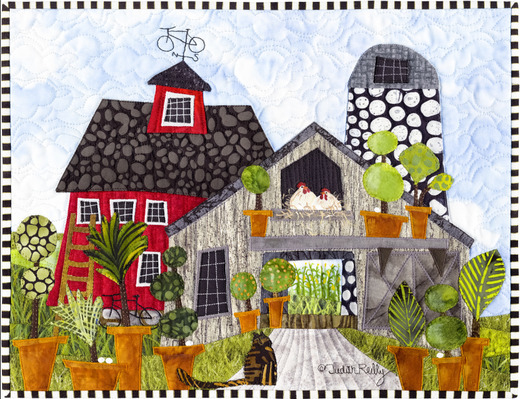 Susan’s quilts combine two life-long passions, quilting and fly fishing. At 3 p.m.